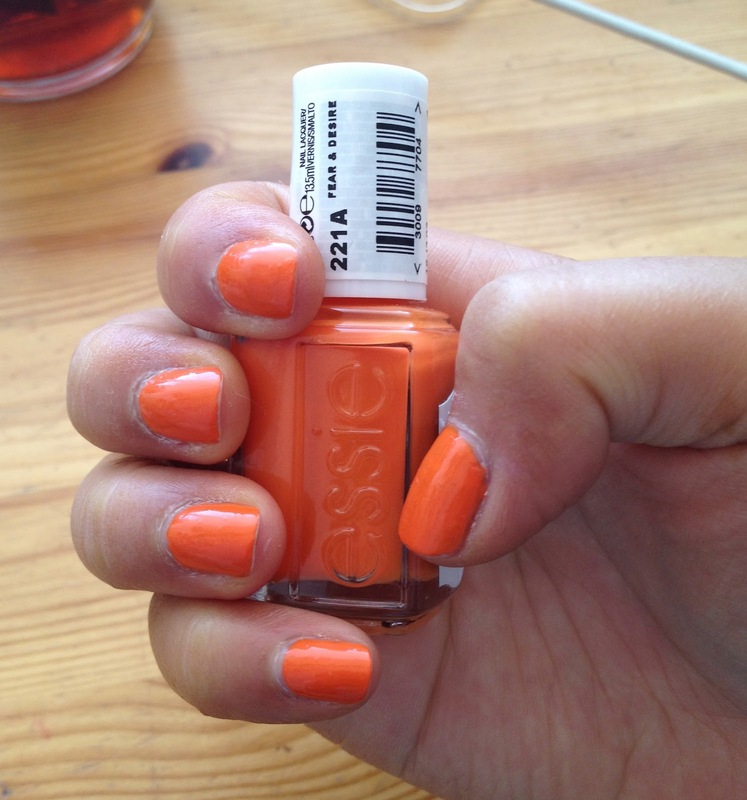 Today I’m wearing Essie’s Fear & Desire. It’s a polish from their limited edition summer collection. 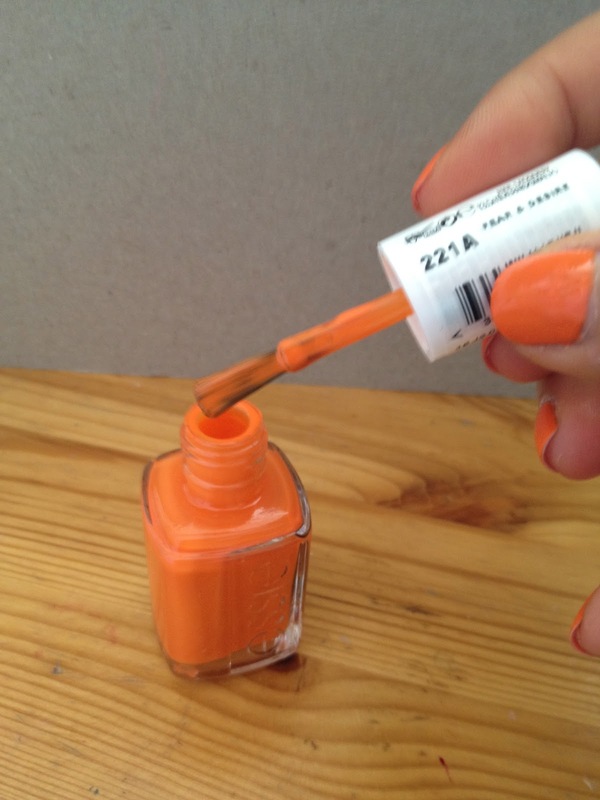 When I was in Hamburg I looked in all stores for this color, but it was sold out. Also in the drugstores in Amsterdam (where I work) all polishes were sold out already. A few days ago I went to my local drugstore in the town I live – not worth mentioning because I had to pick up toothpaste and some other boring stuff. I couldn’t believe my eyes when I saw they had a €2 off deal on all Essie polishes. Ha! I really love the applicator brush of these polishes. As you can see it’s kinda broader than the regular polish brushes, so it’s easy to apply the polish on the nails. They are quite opaque as well, 2 coats did the job for me. And the color is just gorgeous. It’s a bright, not neon, orange. Not really red-orange-ish, but more cold toned I’d say? I’m so bad at describing colors ha ha. I have the polish on for a few days already, no chipping, and I just had a cheapish top coat from Catrice on! What nail polish have you been wearing lately? Previous Post OOPS. I’d forgotten about that! Next Post Origins Super Spot Remover – yay or nay?